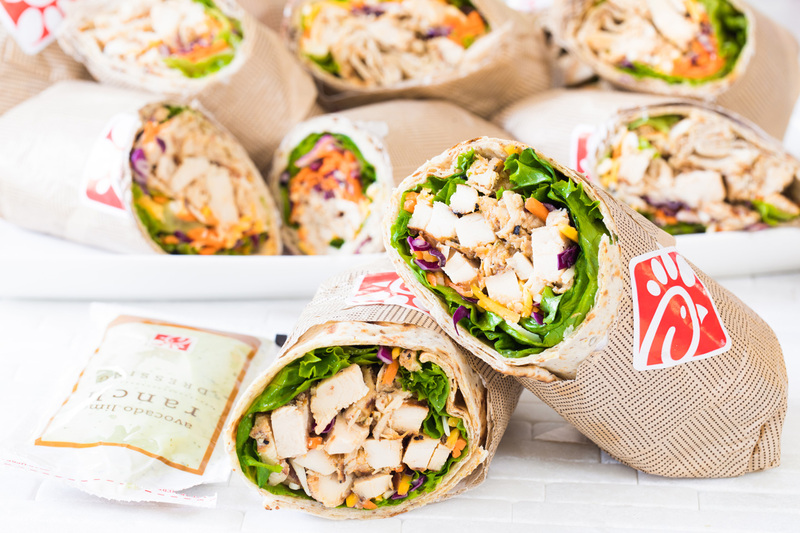 Did you know the “A” in Chick-fil-A® stands for high quality? Here’s why. The produce we use in our recipes – from whole lemons and chopped apples, to fresh romaine lettuce and tomatoes – is delivered to our restaurants up to six times a week. Chick-fil-A Team Members then use these simple ingredients to prepare many of the menu items you love. Many of our menu items are hand-prepared daily, right in our restaurant kitchens. For example, the chicken breast we use to make our sandwiches, strips and nuggets is breaded by hand; it never comes to us as a pre-breaded nugget that needs to be reheated. Ever since our founder, Truett Cathy, invented the Original Chicken Sandwich in 1964, we’ve been on a culinary journey to satisfy our customers’ changing tastes and expectations. But in 2004, we entered a new phase – dedicated to better responding to our customers’ growing demand for more healthful and nutritious options. From introducing new menu items like Superfood Side; to making ingredient changes to old favorites, like removing artificial colors from many of our dressings and sauces; to announcing our commitment to serve chicken raised with No Antibiotics Ever by the end of 2019 -- we’ve been working to serve food you can feel better about eating. Our customers trust us to serve their families, and we take that trust seriously. We always strive to be responsible and transparent about how we source the ingredients used to make our food – from the Animal Wellbeing Standards we have in place for our chicken, to our partnership with THRIVE Farmers Coffee that supports coffee farmers in Central America with its farmer-direct model, to the high-protein Greek yogurt from fairlife® sustainability-focused dairy farms we source for our Greek Yogurt Parfait. With approximately 40 percent of food going to waste in the U.S., we want to do our part to help fight food waste. We start with efficient cooking methods to reduce or eliminate the amount of food that goes unserved, including cooking chicken throughout the day, and preparing salads frequently, so we don’t make too many. 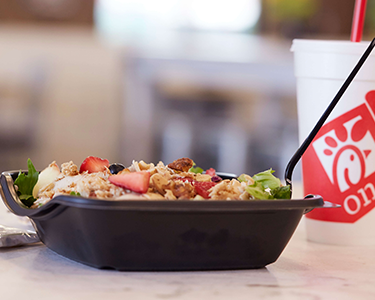 Also, many of our restaurants participate in the Chick-fil-A Shared Table program, where surplus food is donated to local soup kitchens and shelters to feed people in their communities.